The A' Event and Happening Design Competition is a unique design competition open to submissions of events and happenings by organizers worldwide. This award is especially given to excellence in design within the event organization sectors that includes conferences, conventions, festivals, symposiums, trade fairs, trade shows, awards, competitions, contests and other events in event organization industry. It is not an award for interior decoration, graphics, communication or architecture, but it is an award that covers the whole design of events; both the interior design, architectural design, communication design, graphics and service design within the event organization industries. 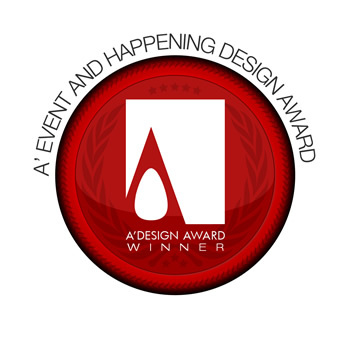 The A' Design Award for Event and Happening Design is not just an award, it is the indicator of quality and perfection in event organization and management, the award is recognized worldwide and takes the attention of design oriented audience, media, professionals and interest groups. Winning the A' Award is a certificate of excellence for your business, an important milestone for your brand. Having the A' Award attracts the eyes of professionals worldwide, winners will be able to find better and higher profile audiences, clients and consumers. Laureates of the Event and Happening Design Awards will also be given the A' Design Prize. The winners of the Event and Happening Design Award are provided extensive and exclusive marketing and communication services to promote the success of winning the A' Award. Furthermore, the winning portfolios will appear on the A' best designs book which is available worldwide, this book is furthermore distributed to the high-profile magazine editors, design oriented companies and relevant parties. The winning designs are also exhibited at our museum, and the best designs will be picked for the permanent exhibition. The winners appear on magazines, newspapers, webzines and many other publishing mediums. We will also make a cover story for your event and publish it in DesignAmid Magazine. The Jury is composed of both Academic and Professional participants worldwide, such as chief executive officers or head designers of companies and faculty heads or professors. In addition, the A' Award features the focus group jury, which is composed of ordinary people to normalize the scoring by eliminating the bias on aesthetics and form sections, the votes of Professional, Academic and the Focus Group are weighted to determine the final result. Furthermore a Shadow customer could potentially review your offering. The Aim of the Event and Happening Design Award is to attract the attention of media and design oriented frequent travellers to your business by means of creating publicity and dissemination and also to seperate you from the rest of the actors in the event organization industry by honoring your institution with a prestigious award. The International Event and Happening Design Awards are especially open for entries of: Annual events, informative and educative events, happenings that are part of public relation campaigns, regular or repeating events, new events, local or national events, events that promote places, events that promote products and events that promote causes. The Event and Happening Design Award, different from other design award categories considers your event on all aspects. We are expecting you to present us a pdf-brouchure of your event, a representative image of your offering (poster of conference, symposium flyer, convention brochure etc) and a video advertisement of your event or happening if available. The Event and Happening Design entries are judged by our criteria that checks six key points: 1. Originality: Does your event have a unique / individual style with a distinctive vision and language in presentation i.e. how is your guest experience; comfort and services provided to the guests and how your services enhances the guest experience. 2. Consistency: Do you have a developed methodology / management guide for your services. 3. Innovative Content: What makes your event or happening unique, for physical hospitality fields such as hotels, bars and restaurants also the intelligent use of space and materials, Social Responsibility: Sensitivity to heritage, sustainability and environment. 4. Operational Structure: Overall management of the facilities and/or services. 5. Involvement: What else do you provide to your guests? 6. Spread: How well know is your event? What are your innovative marketing effords. Shortlisted entrants are suggested but not required to cover the Shadow Customer or Judge's accomodation and transportation fees (national or international flight and one/two night's accommodation) to your venues. A' Design Award offers a distinguished designer program that rewards the award winning designers in 4 tiers. Winners of the Event and Happening award are also suggested but not required to provide the following minimım discounts to distinguished program members based on their tier. In return we will also list your institution in the distinguished program page. Alternative to discounts you could offer additional services as well. To be eligible for this award, you should be a representative / manager or owner of an enterprise or business in Event Organization sectors. Public Relation companies and marketing people are also allowed to participate by entering event organizations done for their clients. There are no restrictions on the size or budget of events, as well as locations. Entries are accepted from worldwide organizers. Award winners will be able to use a title that matches their nomination category: Such as "Tradeshow Design Award Winner". Main Image* 3600 x 3600 pixels JPEG A photograph, poster or other visual from your event or happening. Optional Image #1 1800 x 1800 pixels JPEG Another photograph or visual from your event or happening. Optional Image #2 1800 x 1800 pixels JPEG Another photograph or visual from your event or happening. Optional Image #3 1800 x 1800 pixels JPEG Another photograph or visual from your event or happening. Optional Image #4 1800 x 1800 pixels JPEG Another photograph or visual from your event or happening. Documentation* Max. 40 x A4 Pages PDF A PDF Document that is composed of 1. An introduction of your event or happening. 2. Services offered to Clients. 3. Client testimonials or guest experience case study. 4. Guest Guide if Available. 5. Information on the participants profile and scope. (This PDF Document will not be available online). Video File Max. 10 MB. 45 Sec. AVI A video presentation of your event or happening. This will be available online. 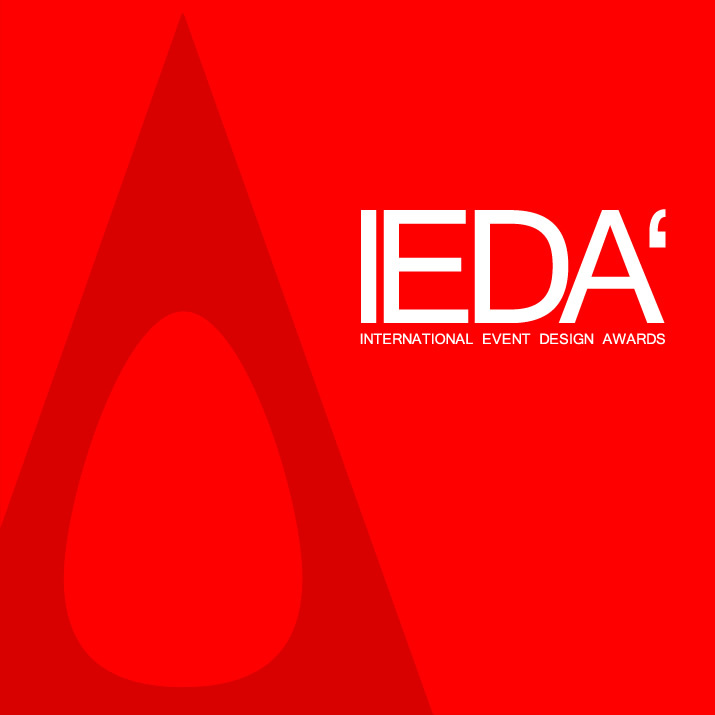 IEDA - The International Event Design Competition, is a major design award category part of A' Design Awards & Competitions. Enter your best event and happening designs for fame, publicity and international recognition.